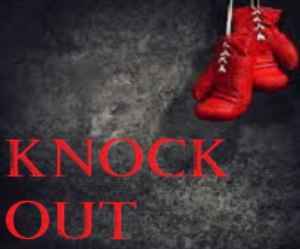 Knock Out is one of the best Kodi addon and mainly focuses on Boxing. It is available in the Cardinal Repository. It has lot of categories which are related to the boxing events including Sugar Ray Robinson 175-196-2, Joe Louis 68-3, Henry Armstrong 151-21-9, Jack Dempsey 61-6-8, Riddick Bowe, Alexis Arguello, Pernell Whitaker, Larry Holmes, and much more boxing matches. In the Sugar Ray Robinson category, we can see a lot of boxing matches and remarkable moments which are happened during the boxing. There is one documentary is available for Sugar Ray Robinson called "Pound for Pound". Each category can have one documentary and some boxing matches. The Gene Tunney category contains the legends championship boxing matches and important events. The contents which are present in this addon is really remarkable and it is highly recommended for boxing lovers. The only drawback is search engine is not available in this addon. The streaming present in this addon is really good. You can use Kodi default search engine to find your favorite contents. How to install Knock Out Kodi Adddon? Refer to the table below for the Knock Out Kodi addon Repo URL, ZIP download link and other info.